Who Is Watching All The Books? 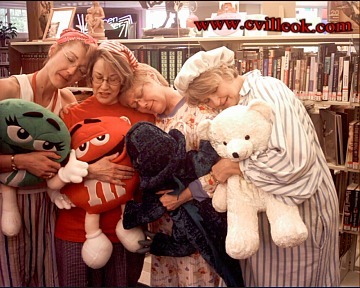 ... while the Library staff snoozes. 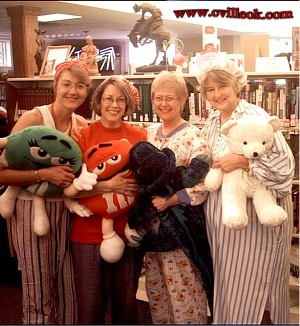 The staff dressed in their PJs, handed out Hersey's Kisses and packets of tea, and created a good time for their customers for the Library's "Customer Appreciation Day". 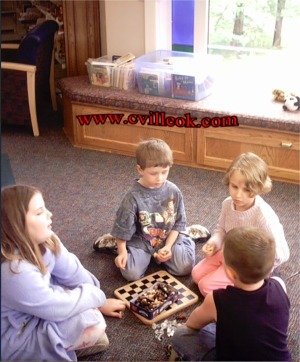 There are always plenty of fun things for kids to do at the Library. Customers could also get a free hand massage Friday during "Customer Appreciation Day."